An aging horror star (Boris Karloff) is convinced by his personal assistant (Nancy Hsueh) and a young director (Peter Bogdanovich) to star in one more film after making an appearance at a drive-through screening of his latest flick. 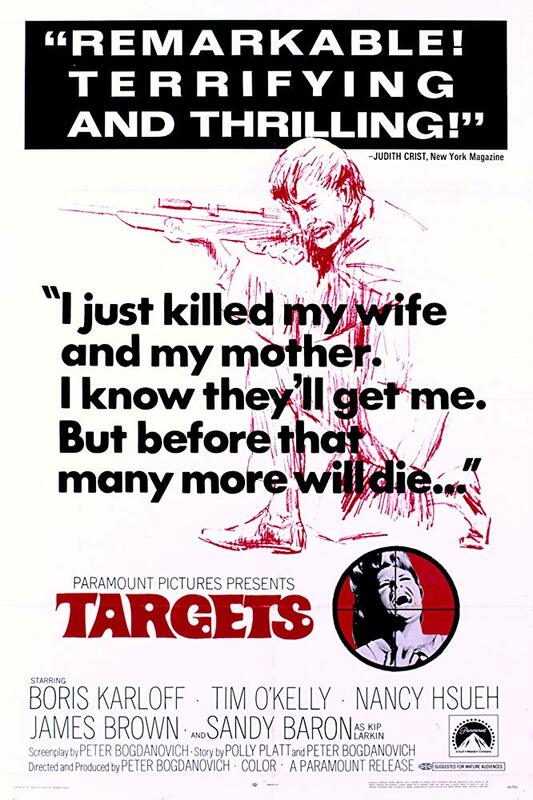 Meanwhile, a deranged insurance salesman (Tim O’Kelly) kills his wife (Tanya Morgan), mother (Mary Jackson), and a delivery boy (Warren White) before climbing a water tower and shooting random targets on the freeway below. He then escapes the police and flees to the drive-in theatre where Karloff will be appearing, continuing his sniper massacre and causing massive chaos. 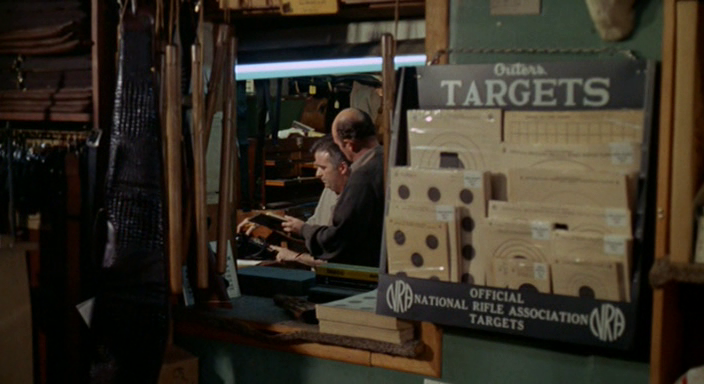 Peary writes that “Peter Bogdanovich’s debut film is remarkable not only because of the sophisticated camera work (by Laszlo Kovacs) but because it is a Hollywood picture daring enough to have both an anti-Hollywood bias and a strong social message.” He adds that “this picture is such a strong indictment of the proliferation of guns in America’s private sector that one would guess that Bogdanovich is calling for more than gun control” — but he notes that “Bodanovich denied he wanted to make a ‘message’ picture.” Regardless, the film remains a “unique picture… full of movie references, interesting offbeat touches, [and] frightening scenes” — especially the seemingly endless real-time takes showing “Bobby kill his wife and gun down innocent people (who could be us!)”. 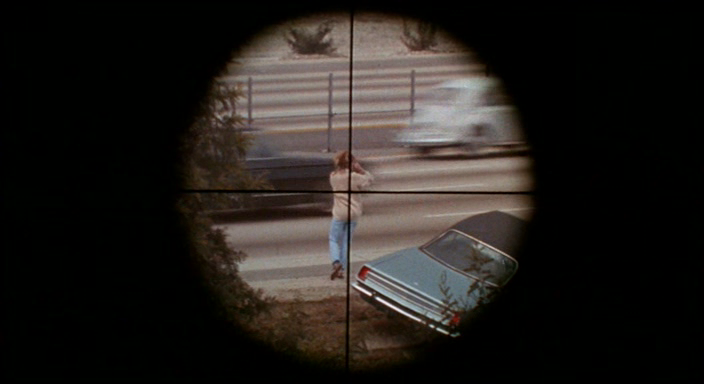 Bogdanovich and his screenwriting partner (then-wife Polly Platt) based the sniper story on both UT Tower killer Charles Whitman, and on the 1965 highway sniper attack in California; suffice it to say that this picture couldn’t resonate more profoundly today (perhaps most specifically recalling the 2017 Las Vegas massacre, in which the deeply disturbed killer’s motives remain unknown). Note: Interested viewers should definitely check out a brilliantly animated documentary on the UT Tower shootings, called simply Tower (2016) — it’s must-see. Click here to read more about the presence of a brain tumor which likely impacted Whitman’s behavior. Yes, as a deserved cult classic. 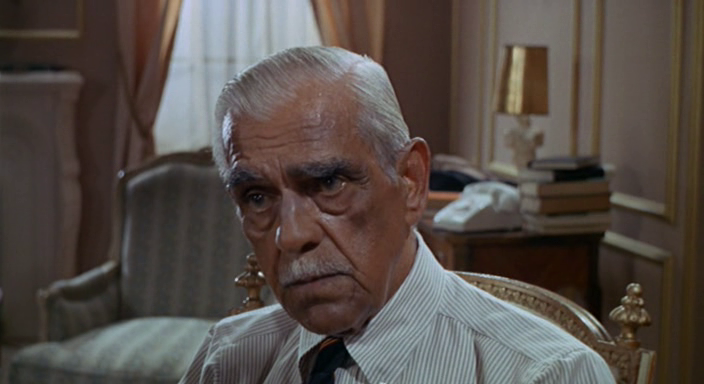 Must-see, for its secure status as a cult film – and for Karloff’s performance. Bogdanovich refreshingly states that he didn’t like the idea of doing a ‘horror’ movie about guns but… that’s what was more or less offered to him (he had to concoct something of the sort or the project wouldn’t work). It remains one of his best films. The assessment given here correctly points out (though sadly) that “this picture couldn’t resonate more profoundly today”. (Don’t get me started on the state of our nation’s gun laws – or, obviously, the lack of them.) 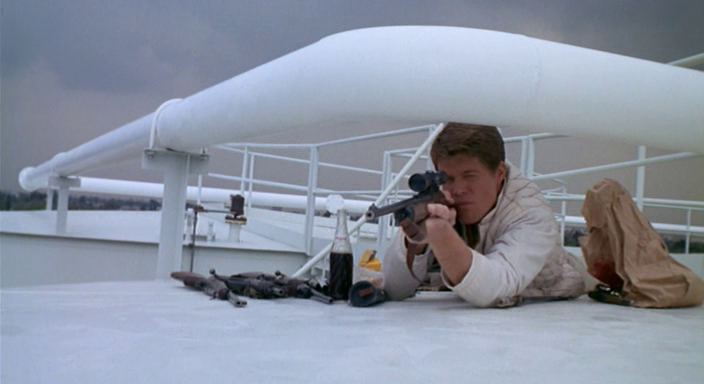 But Bogdanovich has taken the moral approach, showing as little of the actual violence as possible. I believe this is a film that people have to discover on their own; it’s not one I would ever think to recommend. I can’t deny that the film is a remarkable achievement (especially considering its low budget and the limited time-frame it was made in) but, oddly, this is not the kind of film that really needs to be talked about much. 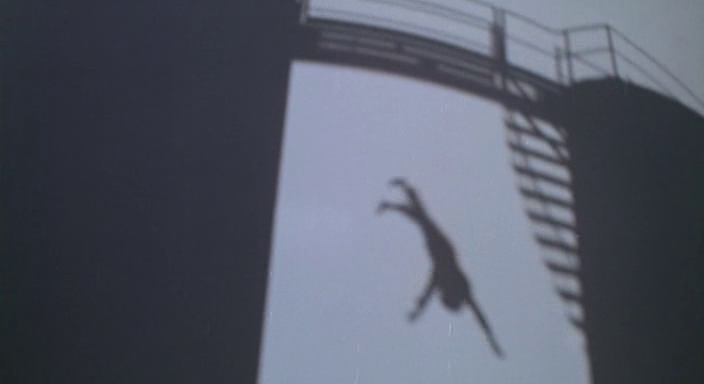 You just quietly watch it to experience the shock of recognition re: the dark element in human nature.